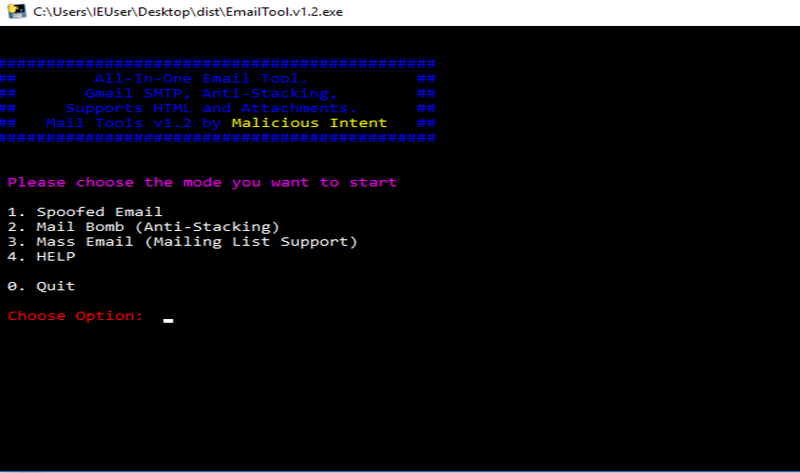 An all-in-one Email spoofing tool that works on Windows and Linux (via Wine).This tool is standalone and doesn’t require you to have Python.Mail Tool v1.2 uses Gmail SMTP, supports attachments and HTML. Make sure to enable access for less secure apps (Gmail will not allow for tampering with email headers if SSL is in use, so I had to resort to TLS). To use HTML template simply provide the name of the file (e.g template.html ) if in the same directory or the full path, if its located else where on your drive. Gmail will only allow ~100 emails sent at once. Gmail will only allow ~400 emails sent per day per account. Allows for sending a single spoofed email. This function supports mailing list (e.g txt file). Allows for sending the same email to many addresses at once. Useful for phishing or marketing campaigns.